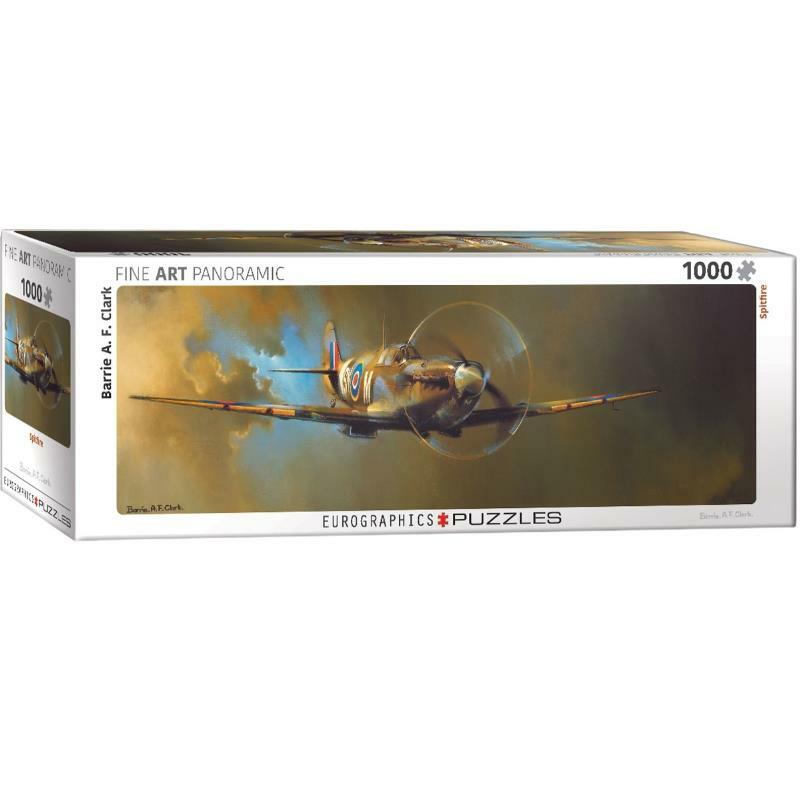 Puzzles 24815 https://www.warplane.com/images/Products/24815.jpg Artist Barrie A.F. Clark’s Spitfire image is the best selling aviation art print in history. It is such a classic image, it does not matter how many times one looks at it, one never tires of it. Now available as a 13” x 39” puzzle. Strong high quality puzzle pieces made from recycled board and printed with vegetable based ink. This superior quality puzzle will delight and educate all at the same time. Description: Artist Barrie A.F. Clark’s Spitfire image is the best selling aviation art print in history. It is such a classic image, it does not matter how many times one looks at it, one never tires of it. Now available as a 13” x 39” puzzle. Strong high quality puzzle pieces made from recycled board and printed with vegetable based ink. This superior quality puzzle will delight and educate all at the same time.